Campus campouts extend education beyond the physical classroom. The stillness of the warm spring night is broken by the occasional sounds of zippers pulled up and down and stifled youthful giggles. Flashlights flick on and off like fireflies as families settle down in their tents across the campground. Kids with bits of toasted marshmallow still clinging to their lips begin to dream about the stories they’d just heard around the campfire, tales of days long ago and heroes who tamed the frontier. Pull back a bit to expand the view, and you’ll see that this is no ordinary park or campground. These families are getting a taste of the “wild” life in their own neighborhood, in their own schoolyard. This is a campus campout, the newest way to enjoy the outdoors with friends and family. “When do we get to go camping and build a fire?” That’s always the first request we’d hear from excited kids who joined the Camp Fire program. As program director for the Central Texas region, I learned that it was easy to teach kids how to safely build a campfire, but finding the resources and time for every school to travel to a park to go camping was a bigger challenge. Time and time again schools informed me that they simply did not have the budgets to support the transportation and other expenses of camping at a remote location. 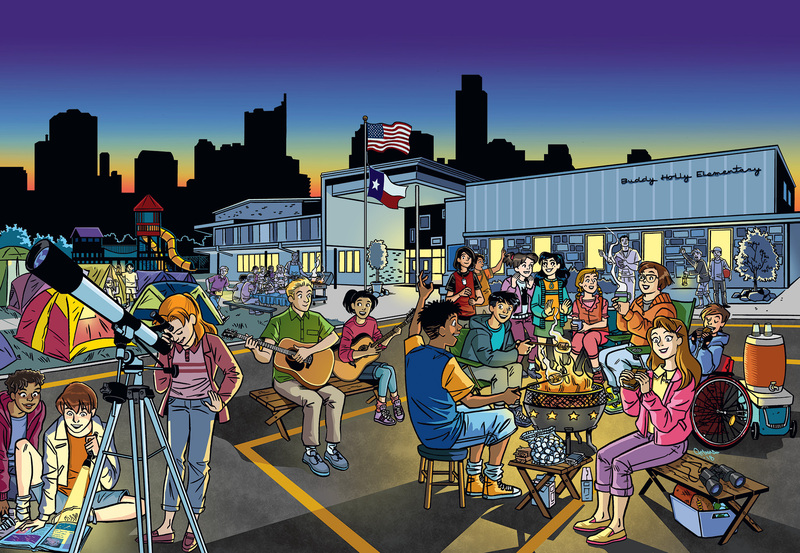 Schools across Texas began to rethink their campuses as places where learning can take place outdoors and where schoolyards can become campgrounds for an evening. 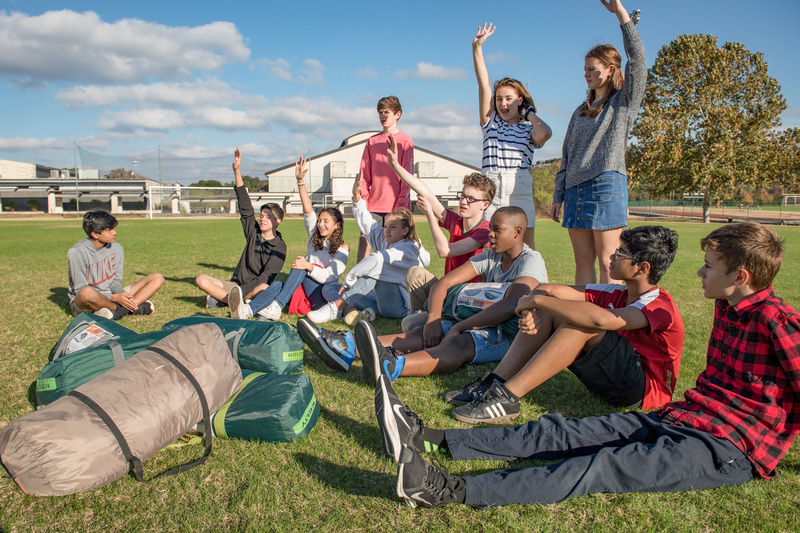 Campus campouts are a new trend in public education, providing an innovative way for parents, teachers, kids and the community to come together to turn their school into a park. Kauffman says his school’s first campus campout was born out of necessity. A planned trip to a state park was thwarted when the park had weather-related damage, so his planning team had to quickly find an alternative site. The Perez school grounds and adjacent city park provided the perfect location to set up camp; the campout remains an annual event for the school. Camping provides endless teaching opportunities for all grade levels. Many math, science, history, art and literacy lessons can be part of the campus campout experience. Consider all the math and engineering that goes into the modern-day tent, and the literacy and team-building lessons in reading the instructions and erecting it. 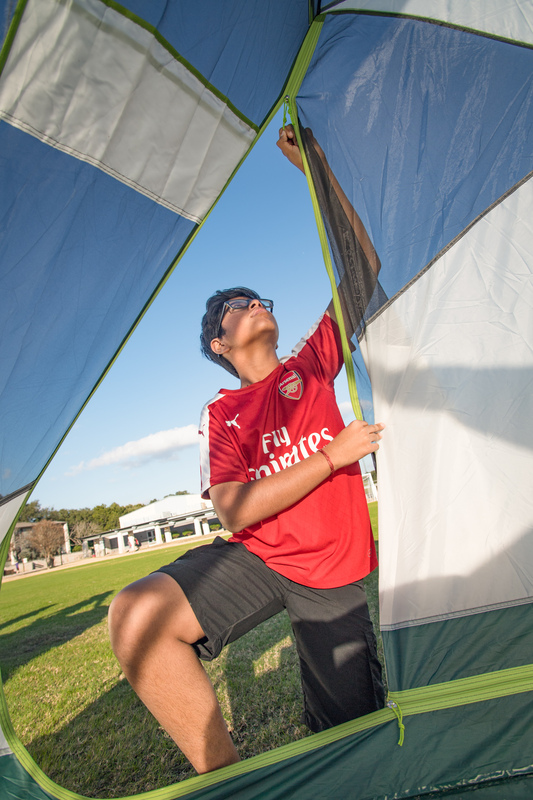 Students can plot out how many tents will fit into one campground, or the distance from their campsite to the facilities. Lighting a campfire and getting the temperature right to cook a meal in the outdoors is all about chemistry. A campus campout provides a ready-made, hands-on opportunity to talk about weather and astronomy. Drafting a map of the pop-up campground combines art and map skills. Storytelling time can bring tales of history, as kids imagine themselves as Native Americans surviving in early Texas or perhaps as soldiers in the Roman army crossing Europe. They can discuss what plants they could consume safely, how to read the weather or how to build shelters from available materials. Students can even be involved in promoting the idea of the campus campout to the community to learn important marketing and communication skills. The more the kids are involved in the planning of the campout, the more they will get out of it. Learning about camping, outdoor cooking, basic first aid and maps offers kids a chance to develop individual and team-building skills that give them confidence to enjoy nature safely. Aside from those science and math lessons, camping provides life lessons that support the social and emotional growth of children. For example, research shows that kids who learn and play outside are healthier, both mentally and physically, have higher self-esteem, are more cooperative with others and are better problem solvers. 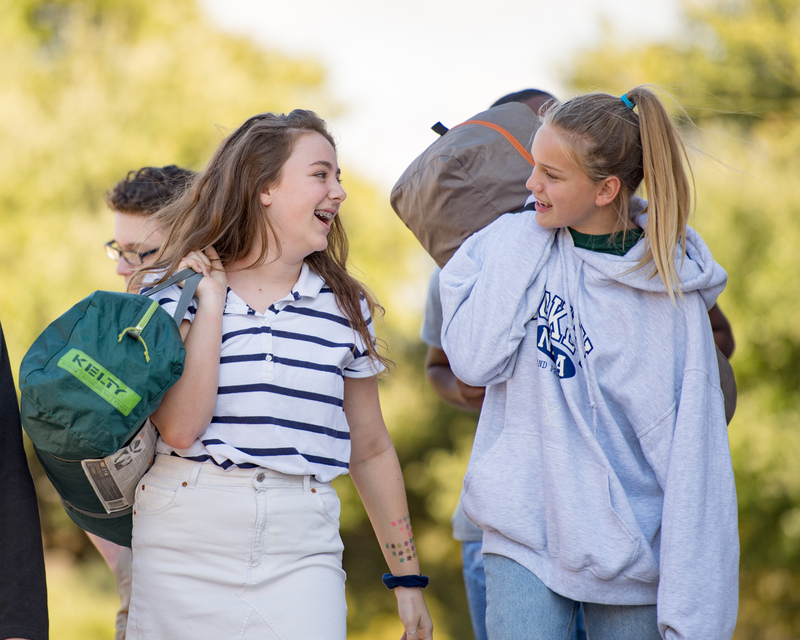 A natural affinity for stewardship can also be a positive result of the campus campout program. Students can engage in service-learning projects such as native plant landscaping and invasive plant removal. They can work with the school facilities team to determine where to plant a pollinator garden or establish an outdoor classroom with native plants where they can observe migrating butterflies or birds. Parents and educators find that this simple connection with the outdoors in their neighborhood can flip a switch inside a kid’s head and inspire them. Seven-year-old David has autism, so the world can be a tough place for him, but the Western Hills Primary School student lit up with excitement at the idea of going camping at his Fort Worth school. “David was so enthusiastic about the idea that I got wrapped up in his wave of positive energy and committed to going camping,” his mother says. David found a passion for geocaching, but unexpectedly discovered that “just relaxing” was his favorite part. The free, online Campus Campout Guide can help schools prepare for all aspects of a campus camping event. Planning for safety is key, and parents and teachers share in the responsibility of creating a fun and secure adventure. Some schools invite local law enforcement and the EMS and fire department to meet the community and share safety tips. Make sure you have a first aid kit on hand for minor emergencies. Educate yourself and other campers about poison ivy and venomous snakes — everyone should learn how to avoid both. Involve parents by asking them to host a “cultural kitchen” by bringing a food to prepare that represents their culture. Share stories while you prepare that meal together. Teaching children about where their food comes from is also a valuable lesson. If the timing is right, celebrate the harvest and share locally produced fruits, vegetables, grains or even wild game. Don’t fall into the trap of over­scheduling activities for the campout. Kids and families suffer from over­planned, busy lives. Some planned activities should be included, but it’s fine to simply schedule free play time or family time. Camping is a great way to relax and enjoy the moment together. Consider setting aside some time at the end of the campout to reflect and share. Before everyone loads back into their cars and returns to their lives, invite them to connect with other families and pick a date right then and there to go camping together, or at least put more outdoor time on their schedule. Since the majority of Texans live in urban settings where encounters with nature are not so spontaneous and often involve driving to a park, your involvement may be key to getting your neighborhood out sleeping under the stars at the local school grounds. Campus campouts do just that in a setting urban youth and families find comfortable. Hosting a campout is just one way to rethink the school campus as an outdoor classroom where learning can take place from sidewalk to sidewalk and not just within the building. Schools hold a special place in the fabric of a community and can be the perfect place to safely introduce children and families to outdoor skills and build their confidence to explore the natural wonders of Texas. Jennifer Bristol serves as the Children in Nature coordinator for the Texas Parks and Wildlife Department and formerly worked for Camp Fire.